Lauren Fritz wasn't going to let anything spoil her fun at the World Skyrunning Championships, not even sinking waist-deep into a bog while racing in the wet and wild Scottish highlands. She grabbed onto a nearby rock, hauled herself up and went on her merry, muddy way. 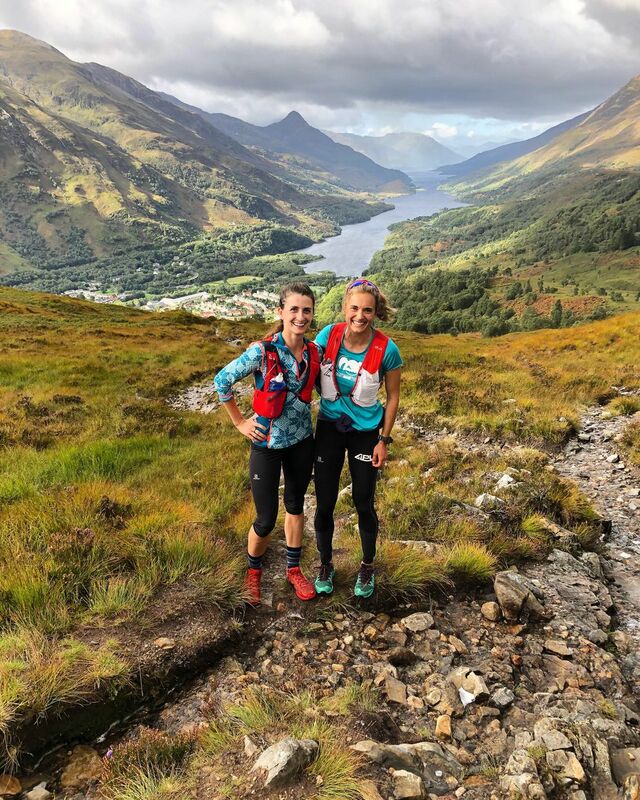 Fritz, a 30-year-old from Chugiak, captured 15th place among women and 88th overall in a field of 368 in Friday's Ben Nevis Ultra in Kinlochleven, Scotland. The 5-hour, 22-minute performance came despite weather-related course revisions that eliminated terrain that would have played to Fritz's strengths as an Alaska-grown mountain runner. "I didn't really have many expectations and my goal was to have a smile for as much of the race as possible and simply enjoy being out there," Fritz said via Facebook. "And despite my disappointment with the course change, I did really have a good time for the most part." With the forecast calling for strong winds and snow on the ridges, the course was changed to keep runners in valleys rather than sending them to the top of Ben Nevis, which at 4,413 feet is the tallest mountain in the British Isles. The race was shortened from 52 kilometers with 3,820 meters of climbing to 47 kilometers with 1,750 meters of climbing. "It was a real bummer because the B Course was a lot of running on forest service roads and double tracks for the whole second half," Fritz said. "It wasn't what I prepared for and didn't play to my strengths. I was really looking forward to the climbing and descending and ridge running — it's SkyRunning champs after all. But they made the right call I think. The peaks looked really nasty." Fritz said she sank into a bog while descending the first big climb of the race. It didn't deter her. "I was passing people the whole time and was laughing and having a really good time," she said. "I was surprised to learn I was in the top 20 at the one aid station at about halfway, and from there to the finish I gritted my way through the rocky (forest service) roads and just told myself to keep running no matter what, (because) once you start walking it's really hard to start again." Fritz, a coach for Alaska Pacific University's Nordic ski program, is one of two Alaskans at this week's world championships. On Thursday, Denali Strabel of Anchorage placed 20th in the Mamores vertical-kilometer race. She's scheduled to race again Saturday in the 29-kilometer Ring of Steall SkyRace. A third Alaskan, Heather Edic, had to pull out of the championships. Fritz said Edic suffered whiplash in a recent car accident. Friday's victories went to Jonathan Albon of Great Britain, who topped the men in 3:48:02, and Ragna Dabats of the Netherlands, who paced a field of 68 women in 4:36:20. The top American man was Jimmy Elam, who was 16th in 4:20:34. Complete results are here. Though the race wasn't the first time Fritz has competed internationally — she raced in many international ski races before becoming a coach — it was her first international running race. Earlier this year, another Chugiak runner made his international debut at the Youth World Skyrunning Championships in Italy. Michael Connelly, 16 and the reigning Mount Marathon junior champion, finished 12th in a field of 21 last month in L'Aquila. Sunday in Girdwood, Connelly and Chris Kirk tied for first place in the 11th Annual Alyeska Climbathon.